Office and company printers are an important part of how today’s businesses are able to flow and function on a daily business. These smaller, more common machines often get overlooked as to the vital function that they perform in every business setting. 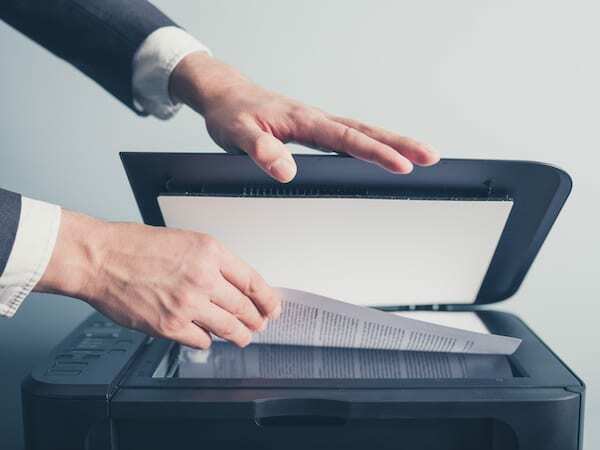 When looking at replacing office printers with newer models, sometimes employers may feel that the amount of the expense could be better used for another aspect of business or office equipment. The truth is they may not know the true value of a new printer. Different printers are designed for different capacities and too often we find misappropriated printers. Understanding the value of having the appropriate printer in your business is something that could majorly affect your budget and effectiveness. Increased technology – As with most electronics, newer printers have more advanced technological features to make office work including printing, scanning, and faxing easier and more efficient. Newer printers tend to operate more quickly which saves precious time for the employee to focus on other aspects of their job. Less need for repair – Another way in which a new printer can benefit your office as well as lead to a reduction of labor hours and increase in productivity is the fact that they are less likely to need repairs. Many office employees rely on printers to produce invoices, purchase orders, documents, as well as send communication via email and fax. With equipment that routinely breaks down or needs repairs to restore functioning capability, employees will have less time to accomplish work throughout the day. In small office settings, the employees may also be the ones responsible for completing many of the printer repairs, so this can take even more time out of a worker’s day. Lowered energy costs – New printers are more energy efficient often reducing energy or shut themselves down after a period of non-use. This reduction of energy throughout the day will not only minimise the cost of your energy bills but also help to reduce your businesses overall carbon footprint. Easier use – Not only do new printers come with the latest technology, but they are also often easier to use. The software that comes with the printers offers easy setup, and the multi-functions are easy for all staff to use with even minimal training. This will not only save your business time when setting up and learning the machine, but it will also allow more employees to be able to operate the printers. Better quality printing – With the advanced technology of new printers, you will also be able to count on higher quality pieces from your printer as well. Whether you are looking for crisp black and white prints, or high-quality full-color presentation pieces, you will be able to find a printer that goes beyond serving typical form production and be capable of producing quality pieces that would once have to have been sent to an outside printing facility. If you’re interested in learning more about how your business can be improved with new printers or the benefits of managed print services, contact the professionals at Atlantic Business Systems Management today.